– It’s a scary thing about America. And for people who grew up in the ’60s, you know, that day, December 8, 1980, was one of the very worst days, because, you know, the dream really was over at that point. 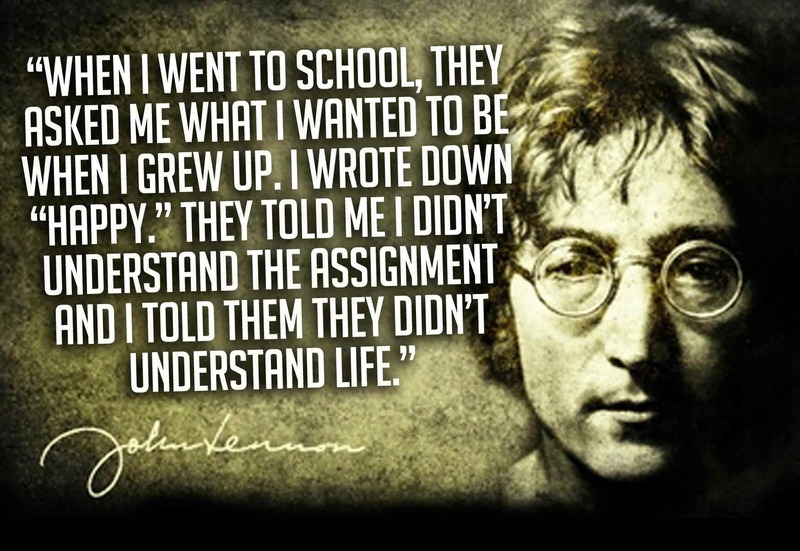 Lennon was a guy who you never knew what he was going to do. He was willing to embarrass himself. He tried out things that often didn’t work, but he was always interesting, and you know, we had the feeling that sort of he was part of us, and so, today, we miss his spirit. We miss his adventurousness. We miss his music. And, you know, it’s a sad day. 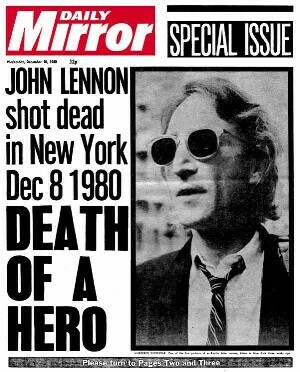 Tom: What would be the motive to kill John Lennon on December 8, 1980? Lennon had been in seclusion for many years and had not yet released his new album. Mae: Both the date of Lennon’s murder, and the careful selection of this particular victim are very important. Six weeks after Lennon’s death, Ronald Reagan would become President. Reagan and his soon-to-be appointed cabinet were prepared to build up the Pentagon war machine and increase the potential for war against the USSR. The first strike would fall on small countries like El Salvador and Guatemala. Lennon, alone, was the only man (even without his fellow Beatles) who had the ability to draw out one million anti-war protestors in any given city within 24 hours, if he opposed those war policies. 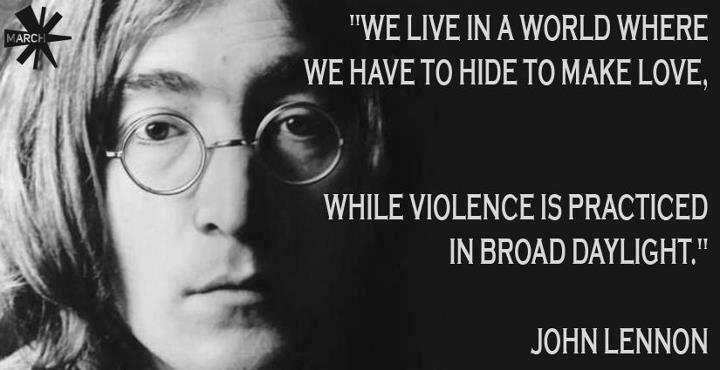 John Lennon was a spiritual force. He was a giant, like Gandhi, a man who wrote about peace and brotherly love. He taught an entire generation to think for themselves and to challenge authority. Lennon and the Beatles’ songs shout out the inequalities life and the messages of change. Change is a threat to the longtime status quo that Reagan’s team exemplified. On my weekly radio broadcast of December 7, 1980, I stated that “the old assassination teams are coming back into power.” The very people responsible for covering up the murders of President John F. Kennedy, Senator Robert Kennedy, Reverend Martin Luther King, for Watergate and Koreagate, and the kidnapping and murder of Howard Hughes, and for hundreds of other deaths, had only six weeks before they would again be removing or silencing those voices of opposition to their policies. Lennon was coming out once more. His album was cut. He was preparing to be part of the world, a world which was a worse place since the time he had withdrawn with his family. It was a sure bet Lennon would react and become a social activist again. That was the threat. Lennon realized that there was danger coming back into public view. He took that dangerous chance, and we all lost! DeKalb County, Georgia, just to the east of Atlanta, figures prominently in Chapman’s life as it had some years earlier in that of Martin Luther King. In 1977 in a court affidavit, Robert Byron Watson, former employee of Magellon’s Art Gallery, Atlanta, named several citizens as having planned and bragged about the “future murder of Reverend Martin Luther King.” King’s death came just one week after the plans were discussed. These same people also talked about murdering Senator Robert Kennedy. Chapman attended DeKalb Junior College in the area where these kinds of plans were laid and such political anger was being vented. From DeKalb County, Chapman was sent to Beirut, Lebanon. He was handed the funds both ways. Beirut was the center for George Habash and CIA assassination teams also identified in the Watson testimony before the House Select Committee on Assassinations in 1977-78. After six months in Lebanon, Chapman went to Fort Chaffee, Arkansas to work with Vietnam refugees recently arrived from Southeast Asia. Members of the CIA were with him at this military base. William Colby’s Vietnam Phoenix program, staffed with agents who intensely hated the anti-war, social activists like John Lennon, had both the intent and the means to move persons like Chapman to their training camps and then to specific places planned as sites for future assassinations. Colby came back to the U.S. to become Director of the C.I.A. at a time (1973) when “Operation Chaos” was in full swing against the hippies, rock musicians, and anti-war protestors. Many of them were killed or otherwise neutralized. The years from 1976 to 1978 in Chapman’s biography are still vague and murky: two years of limited employment and “mental treatment.” Allegedly, he was in the hospital for a mental breakdown. On the other hand, if there were any evidence of mental instability, would not his permit application to buy the murder weapon have been denied? There were many years, months, days when Chapman could have been mentally programmed to become like the “Manchurian Candidate,” specifically to murder John Lennon, if and when he re-entered public life. Lennon was not threat until the U.S. was getting close to another war. Subsequently, Chapman took a long “vacation”, including a trip around the world. During this voyage he made a trip to Switzerland to meet a pal from DeKalb County, Georgia, the same man who earlier had arranged the original trip to Lebanon. The journey culminated in London with a rare visit to a live Lennon concert. Chapman’s wife, who worked for a travel agency, “arranged his itinerary”. The source of the money for his fare, hotels, food, concerts, has never been identified, although Pacific Holding Ltd., a “tourism” company formed by the CIA and Special Forces, may be implicated. Both groups had funds to hire assassination teams. There is hard evidence the CIA assigned agents to “investigate the music industry.” After the murders of Tim Buckley, Jim Croce, and Mama Cass Elliot, more information surfaced about earlier mysterious deaths of Jimi Hendrix, Jim Morrison, and Janis Joplin. Listed below, but not updated this past year, are some of the rock musicians who have died since the Huston Plan and the FBI Cointel-Program were activated. If these people had been taking any kinds of drugs, there is the distinct possibility that specific poisons were added to their drugs, enough to be fatal, to make it appear that they had died from a simple “overdose”. Marc Bolan Steve Gains Donald Rex Jackson, Grateful Dead mgr. 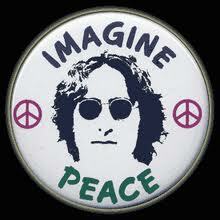 The U.S. government saw Lennon as such a serious threat that President Nixon attempted to have him deported in 1972. In addition the FBI closely monitored his actions and amassed a file on Lennon of over 400 pages. While the highlights of Lennon’s career with the Beatles are well known, Lennon is less remembered for his political activism and dedication to peace. 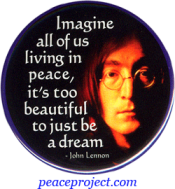 Lennon wrote some of the most famous songs of the anti-war movement: “Give Peace a Chance,” “Imagine” and “Happy Christmas, War is Over.” He sang at political protests against the Vietnam War, in support of the radical John Sinclair and even for the prisoners of Attica. 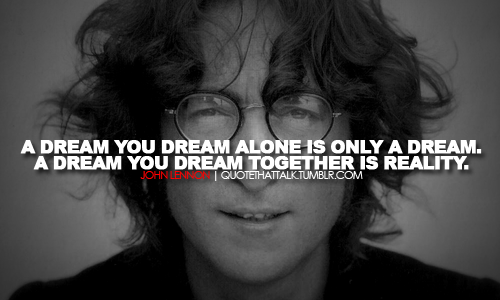 He and Yoko made international headlines simply by lying in bed as part of their Bed-In for Peace. AMY GOODMAN: Jon Wiener, can you talk about what John Lennon hoped to do in this country, joining up with the anti-war movement, registering voters, and how he was thwarted, specifically how he was dealing with the Nixon administration? JON WIENER: Yeah. Lennon tried to figure out ways that he could use his power as a celebrity to help end the war. And the idea that he developed, along with Abbie Hoffman and Jerry Rubin and other people, was that he should headline a national concert tour in 1972 that would coincide with the presidential election campaign. ’72, Nixon was still President and preparing to run for re-election. The war in Vietnam had reached a peak. It was clear that this was going to be a big issue in ’72. The concert tour that Lennon was planning would have been quite a big deal, just because no Beatle had toured the United States since the lads waved farewell at Candlestick Park in 1966, but what Lennon had in mind was something different. He wanted to combine rock music with radical politics and use the tour to urge young people to register to vote — 1972 was the first year that 18-year-olds were given the right to vote, so that was going to be an important project — and vote against the war, and that meant voting against Nixon. Nixon got wind of this plan and promptly began deportation proceedings against Lennon to try to get him out of the country to prevent this tour from ever happening. They were able to do one concert. It was in Ann Arbor, Michigan, in December ’71, where they tried out this idea. It was the “Free John Sinclair” concert. John Sinclair was a local movement activist and leader who had been sentenced to ten years in the Michigan state prison for possession of two joints of marijuana. It was a big national issue in 1971, and Lennon headlined a fantastic show that involved political activists. Jerry Rubin spoke, Bobby Seale spoke, Stevie Wonder showed up to play. And we have tape of Lennon’s appearance that night. It’s in Ann Arbor at Chrysler Arena, December 1971, 15,000 people in the audience. AMY GOODMAN: That was John Lennon singing at a “Free John Sinclair” rally in Ann Arbor, Michigan, in 1971. This is Democracy Now!, DemocracyNow.org, The War and Peace Report. I’m Amy Goodman. Our guest is historian Jon Wiener, the author of two books on John Lennon, including Gimme Some Truth: The John Lennon F.B.I. Files. I asked Jon Wiener what happened to John Lennon after he performed at the “Free John Sinclair” rally. AMY GOODMAN: John Lennon in Harlem. AMY GOODMAN: John Lennon, at the Apollo in Harlem, after the Attica uprising. Of course, then-New York Governor Nelson Rockefeller, right after the prisoners rose up — it was another September 11 — September 11, 1971 (September 9, it began). On the 13th, he called out the New York state troopers, and they opened fire, killing 39 men, including guards, critically wounding more than 80 others and injuring hundreds. Jon Wiener. JON WIENER: Yeah, it was a terrible day, and it’s interesting that Lennon wanted to be part of that protest, too. So, you know, New York was very important to him, and he wanted to be part of the political life of New York and part of the movement in New York, and that’s one of the reasons why it was particularly horrible that he got killed in New York, which was the city that he thought of as the center of the world, the home the free. The”Artwork of John Lennon” traveling road show is a “knowing misrepresentation of the truth or concealment of a material fact to induce another to act to his or her detriment,”[FN 1] which is one legal definition of -fraud-, by his widow Yoko Ono, along with her business associates: Legacy Fine Art Production, Pacific Edge Gallery and others, to cash in at the expense of the unsuspecting consumer and legitimate artists, not to mention John Lennon’s true legacy. John Lennon died in 1980. The dead don’t create artwork. Yoko Ono began this fraud sometime around 1986 when she hired chromists (someone who copies the artist’s work) to forge John Lennon’s original black-and-white drawings and misrepresent those posthumous forgeries as original works of visual art ie., lithographs, serigraphs, etchings and woodcuts. Soon after 1986, Yoko Ono found out these non-disclosed posthumous black-and-white forgeries, even when misrepresented as original works of visual art ie., lithographs, serigraphs, etchings and woodcuts, weren’t selling as quickly as she liked at the prices she expected, Yoko Ono began to have posthumously colorized editions of non-disclosed forgeries made by hired chromists [someone who copies another artist’s work and in this case alters it]. 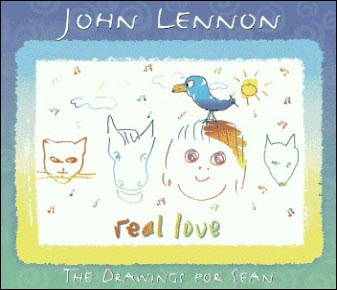 Eventually in the late 1990’s, Yoko Ono, lost all inhibitions about John Lennon’s true legacy and began authorizing not only the colorized forgeries of John Lennon’s original black-and-white drawings but their forged alteration into new compositions that John Lennon could not have approved since he was still dead. What on Earth you tryna do? How in the world you gonna see?